Trash-Hack is a beginners’ workshop in re-purposing industrial and domestic junk to create and animate instant puppet creations. Be prepared to stretch your imagination, dare to fail, pull it apart and build another. No experience necessary; this workshop is for anyone wishing to gain confidence or new perspectives in accessing puppetry. All workshop materials will be provided, but you are welcome to bring objects or materials with you to experiment with, should you wish to. Workshop led by Chris Pirie, the Artistic Director of Green Ginger, internationally acclaimed creators of stage and screen animations. He teaches puppetry at Bath Spa University and co-produces the Bristol Festival of Puppetry. Chris regularly works as a consultant to leading arts organisations including Aardman Animations, Welsh National Opera, Tobacco Factory Theatres, and Bristol Old Vic. This workshop will be held at our Production and Learning Centre, TR2, 12 Neptune Park, Cattedown, Plymouth, PL4 0SJ. The workshop will run from 2.00pm – 5.00pm. For more information about Green Ginger please visit their website. 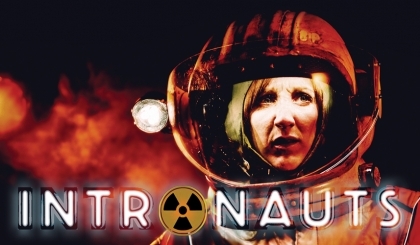 Book your tickets for Green Ginger’s new show Intronauts following the workshop or in The Drum from Tue 29 Jan – Sat 02 Feb. Please click ‘Book Tickets’ to book your space on the workshop from our performance list.